Envelopes available with 1 color or 2 color printing. Available with 1/color or 2/color printing on envelope. The thickness of paper is often measured by caliper, which is typically given in thousandths of an inch. Paper may be between 0.07 millimetres (0.0028 in) and 0.18 millimetres (0.0071 in) thick. Paper is often characterized by weight. In the United States, the weight assigned to a paper is the weight of a ream, 500 sheets, of varying "basic sizes", before the paper is cut into the size it is sold to end customers. For example, a ream of 20 lb, 8.5 in × 11 in (216 mm × 279 mm) paper weighs 5 pounds, because it has been cut from a larger sheet into four pieces. Cover stock is generally 68 lb, and 110 lb or more is considered card stock. Most commercial paper sold in North America is cut to standard paper sizes based on customary units and is defined by the length and width of a sheet of paper. 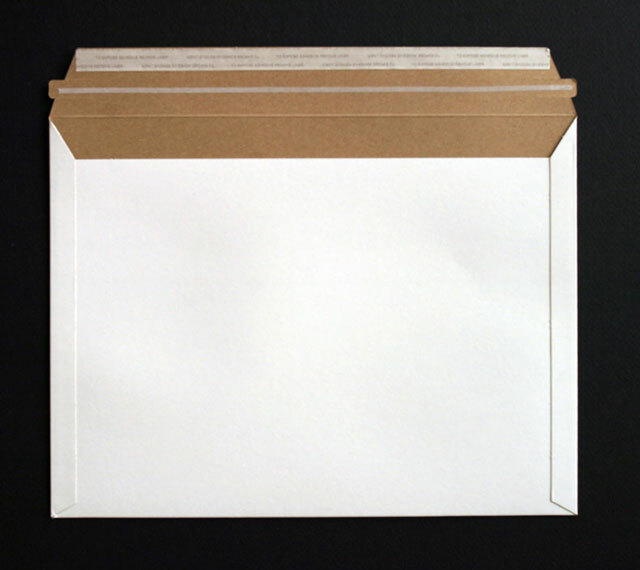 The paper is then converted into envelopes using die cutting.